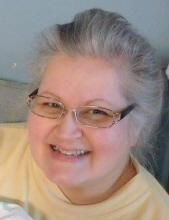 Susan Costner Hubbard, 59, of Shelby, passed away Sunday, April 14, 2019 at Hospice at Wendover in Shelby. She was born in Cleveland County on December 10, 1959, to the late Willie George Costner and Christine Warlick Costner. She was of a nondenominational faith and was called of God to follow Jesus. Susan was a former human resources manager at Metals America. The family will receive friends on Thursday from Noon to 1:00 PM at Stamey-Tysinger Funeral Home. The funeral service will be held on Thursday at 1:00 PM in the Stamey-Tysinger Funeral Home Chapel with Mr. Jim Holt, Mr. Tom Nussbaum and Mr. Ken Pinney officiating. The family wishes to have flowers for Susan but if you would like you may make memorials to Hospice Cleveland County, 951 Wendover Heights Drive, Shelby, NC 28150 or the American Cancer Society, 1901 Brunswick Ave Suite 100, Charlotte, NC 28207. To send flowers or a remembrance gift to the family of Susan Costner Hubbard, please visit our Tribute Store. "Email Address" would like to share the life celebration of Susan Costner Hubbard. Click on the "link" to go to share a favorite memory or leave a condolence message for the family.